I’ve been in twice and got tattoos from Joe and he did a great job! I also like how clean it is and the care he takes to make sure everything is wiped down and sterile. I will definitely be back again! Joe was AMAZING. This was my first tattoo in 13 years. …he 100% understood my vision and desires. Joe was not only artistic and clean,but efficient while creating a comfortable environment. I will be marking a return visit. For sure! 717 Harrisburg is a great shop, and everyone that works there is awesome. All very knowledgeable and kind. Joe gave me my first tattoo, and I love it. He makes sure you understand how to care for your new artwork. He also has no problems answering questions you have to ease your mind. Joe is great, and very skilled artist and I will be back for more! Have had two tattoos done by Joe. Both are amazing and I absolutely love them! He does amazing work. Would 100% recommend. I waited until I was 52 to get my first tattoo. I called 717 and went for a consult with Joe the same day. He was very helpful and explained everything completely. A few days later I went in and got exactly what I wanted for my tattoo. I would recommend 717 to anyone! Joe is the man of 717 Tattoo on 22. I am proud to have his art on my body. He is friendly and professional. From veterans to virgins I would recommend Joe! Explain Why You Chose That Word: I just got my second piece by Joe. They were both cover-ups, and Joe did an unbelievable job. He’s personable, professional, and very talented. I could not possibly be happier with my tattoos. Thank you so much! Anything Else You Want To Add? I will never go to anyone other than Joe! Explain Why You Chose That Word: It’s hard to pick just one word to describe my experience. I had a wonderful experience, especially for my first tattoo. Everyone in the Harrisburg shop is approachable. They are all very kind, professional, and knowledgeable. Joe totally understood my nervousness and quickly put me at ease with answering my questions and reassuring me I would be fine. Since then, Joe had done three more tattoos on me, and I have plans to go back for more. I have also been pierced my Rev, who is also very professional and comforting when your nerves kick in. I love this shop and it’s employees. The shop is clean and everyone takes what they do very seriously. I tell everyone to go to 717. Anything Else You Want To Add? some hoodie sweatshirts would be kinda awesome. I have also heard about 717 from friends, bumper stickers, and have seen people wearing your t-shirts. Anything Else You Want To Add? The shop is very nice and clean……. Explain Why You Chose That Word: Joe took the time to work with me. I did not feel like I was “just a job”. He listened and explained everything. Explain Why You Chose That Word: I made an appointment with Joe Calenzo to have a phrase in Russian tattooed on my left forearm. Joe is a fantastic Artist. Far exceeded my expectations. I definitely recommend him and will return if I ever want more art. this being addictive. Now i have others planned 🙂 He took my picture from the net and make it MUCH MUCH cooler!!! I now have a dog paw print to match my dog. This place i will be sending all of my friends to now! I would only ask that he updates his profile on the web (picture) to match his rad pic i got on my fb account! Peace out dude!!!!!!! Anything Else You Want To Add? What a cool place! The place was very inviting… i was expecting the worst with this being my first time. But… you have made this night very memorable! Can’t wait to get more ink from you guys! Explain Why You Chose That Word: I chose the word Exciting because I waited 13 years to get my next tattoo and I was extremely excited to get more ink. I had a fantastic experience too. I was really excited to see what Joe Celanzo had drawn up for me. When I got there he thought it would be better to just freehand the design right on my body so it would flow better. After the drawing was done, I couldn’t have been happier with it! When the finished product was finally done and I looked at it in the mirror, it was an amazing feeling to know that 13 years of waiting was for a reason. I went to the right place and had the right person do my tattoo. Thank you again for an amazing, exciting and completely satisfying experience! Anything Else You Want To Add? It was an awesome experience! Explain Why You Chose That Word: Joe did a fantastic job with my tattoo! He was very, very nice and very talented. My tattoo looks fantastic! He made my first tattoo a super amazing and exciting experience. I will never forget last night! He answered all of my questions and was very helpful. 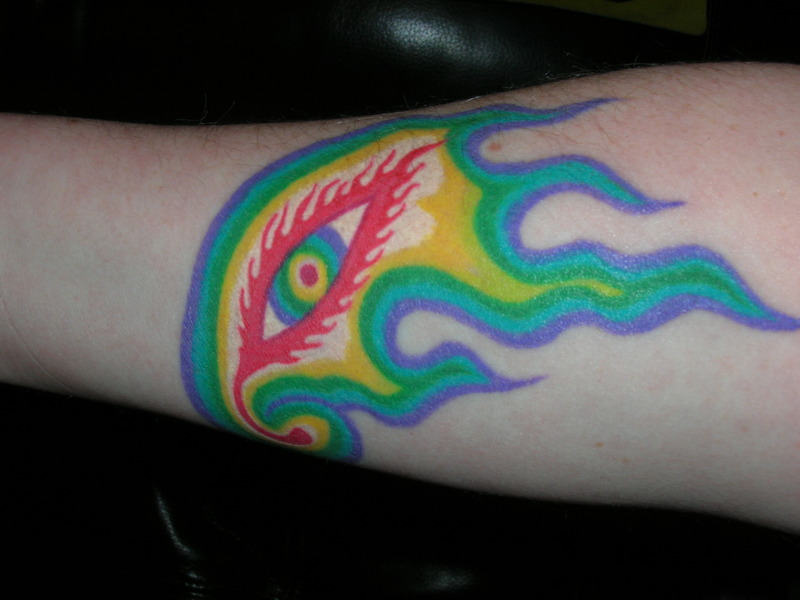 As a 16 year old going in to get a tattoo he made that an amazing experience. I am definitely coming back this summer to get my second one and I’m definitely having Joe do it again! I was very relaxed and felt no pain at all! He made small talk while doing the tattoo which I thought was a really good distraction (even though it didn’t hurt.) He is very talented! Anything Else You Want To Add? Thank you so much for providing such a relaxed, positive atmosphere, that goes a long way :). I will be coming back ! Explain Why You Chose That Word:I use the word reliable to describe my visit to 717 Tattoos because when you ask questions you get back straight answers, rather than talking in circles or no answer at all. On a second note they also toss you their own opinions into the mix to give you another perspective on ideas. Anything Else You Want To Add? The whole overall experience of 717 is beyond fun to me. Every time someone asks about my tattoos or advice on shops to attend i immediately say 717 Tattoo, you will love the experience and the tattoo in general. My sister and I want to get a matching tattoo done & were wondering about pricing. It would only be letter work in like a cursive font and about 9 to 10 words. The placement would be vertically down the right side of the back. Let me know if I could get an estimate. Pricing – How Much Do Tattoos Cost? At the bottom of that page there is a price estimate form which you can use to request a quote from the artist you are interested in working with.